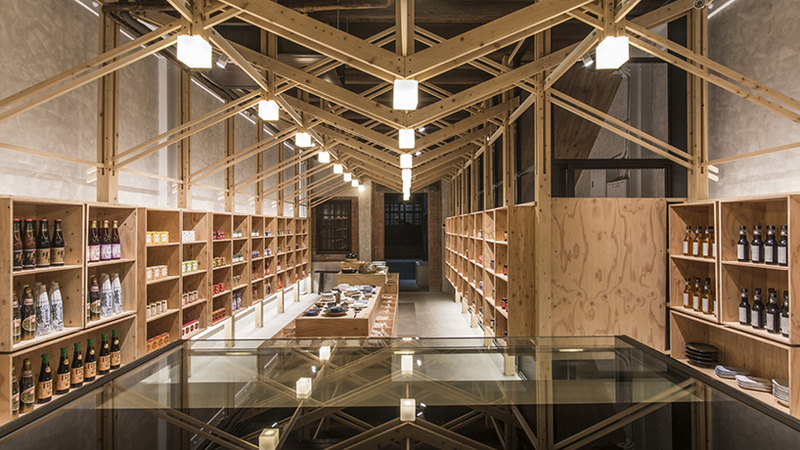 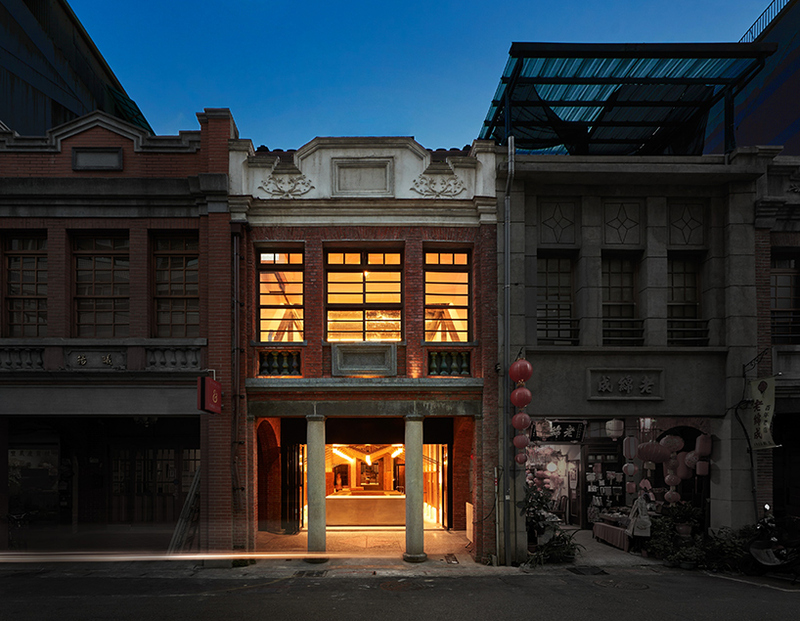 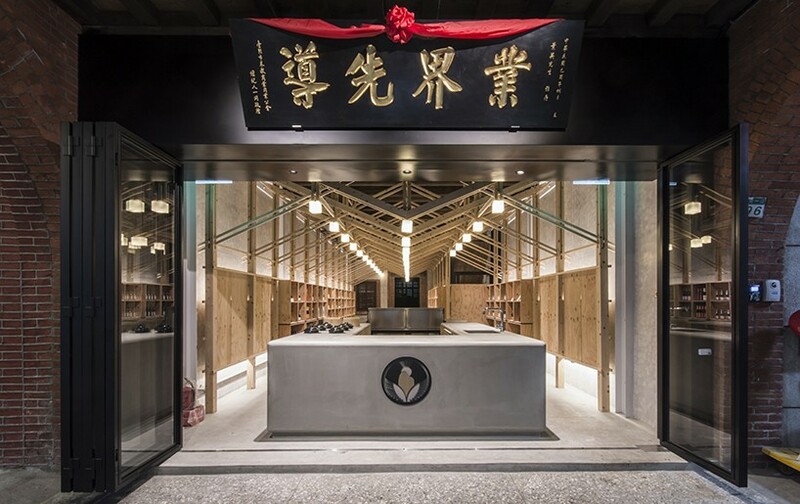 this traditional building in taipei has been renovated and rehabilitated to accommodate a dry-goods store, bakery, gallery space and the owners home. 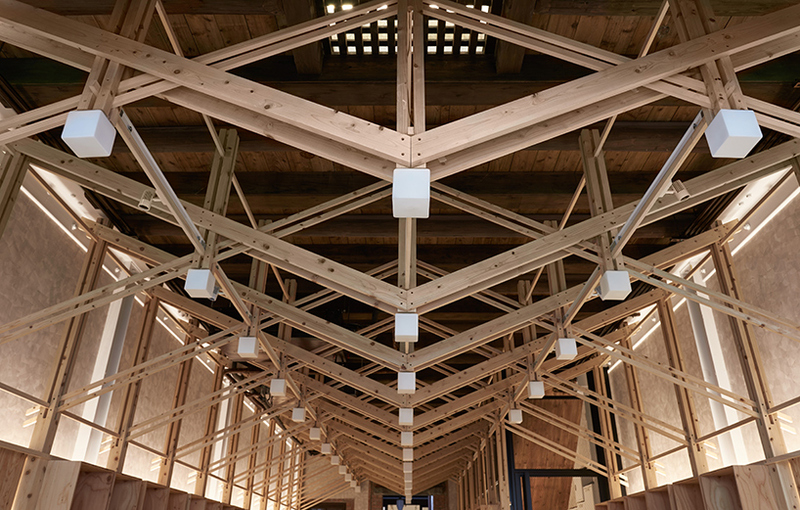 the project named ‘inverted truss’ links to the impressive timber ceiling system that has been used to shape the new spaces within. 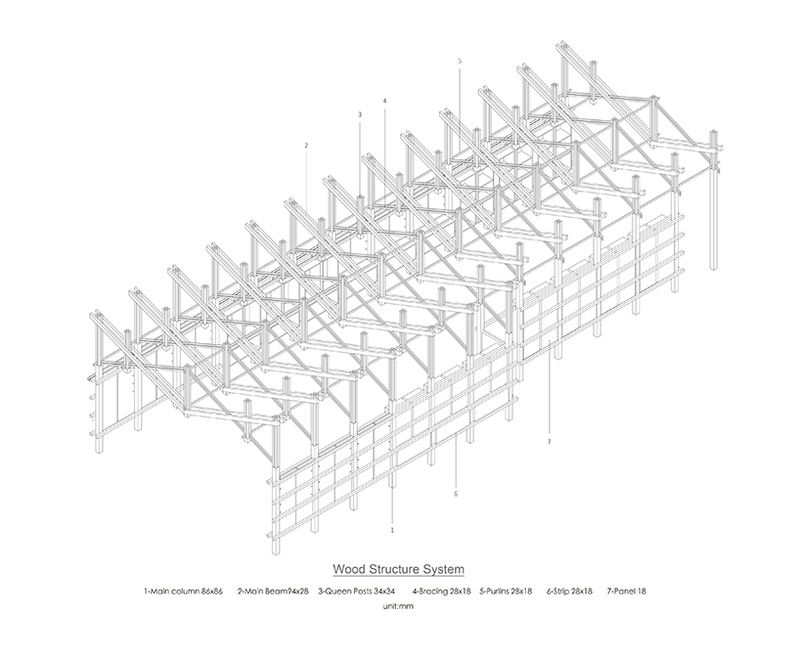 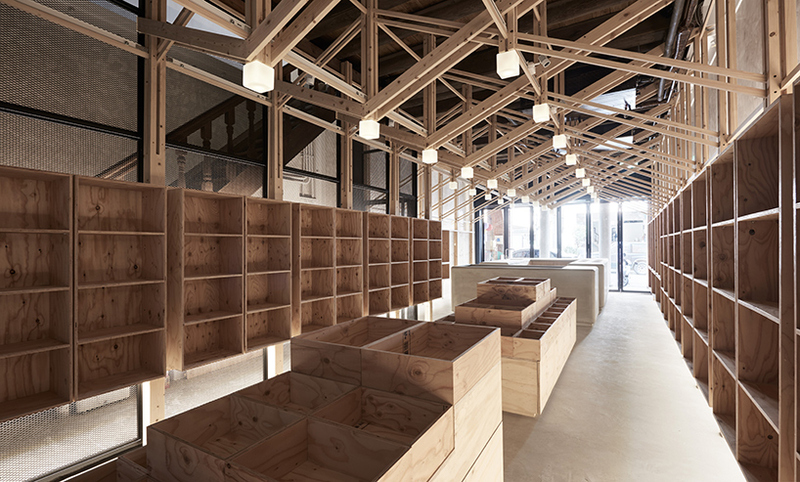 the new elements of the scheme is introduced by B+P architects as a complex timber truss frame which simultaneously serves as furniture, storage and display units. 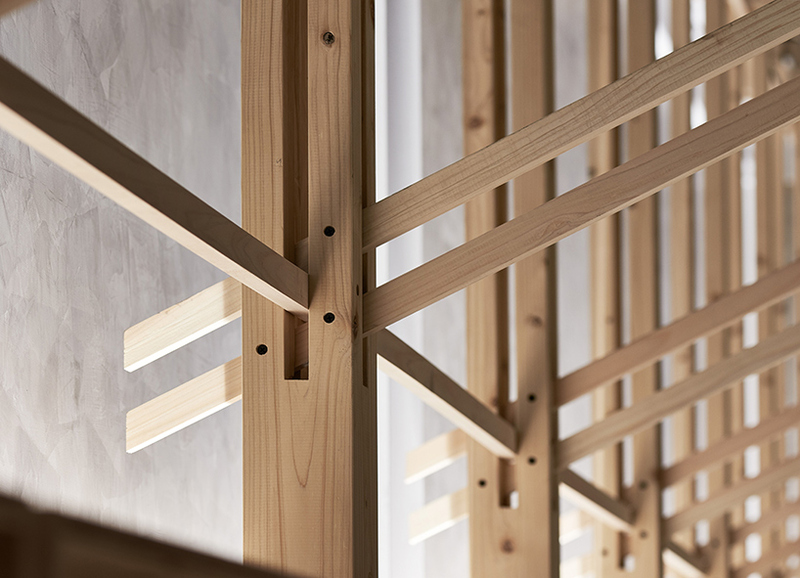 it is also designed to support the display shelf and envelop the wiring of lighting and air-conditioning units. 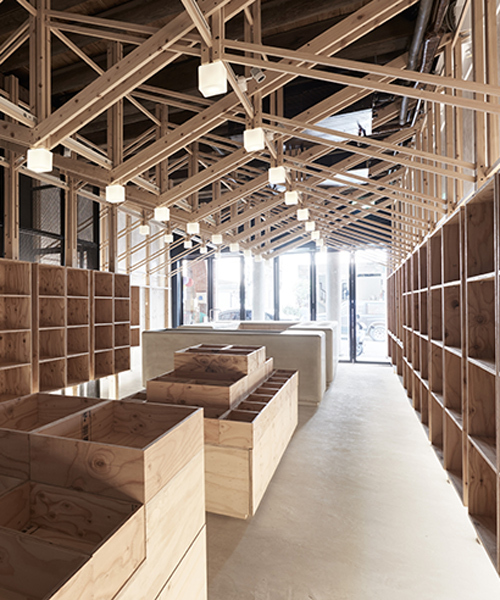 this free-standing structure of japanese cypress is most evident in the ground floor retail space and responds to the architect’s concept of minimizing the restructuring of the historic space. 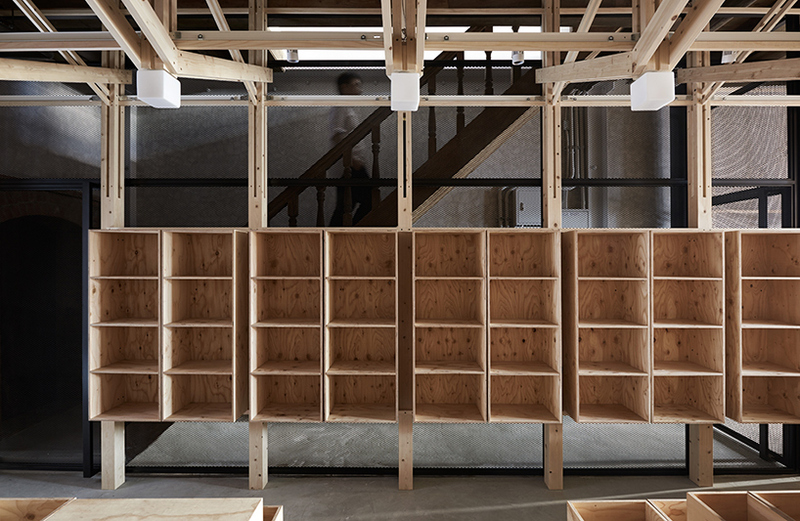 in addition, re-using original materials that are already existing highlights the idea of minimal intervention and this is emphasized throughout the rest of the levels. 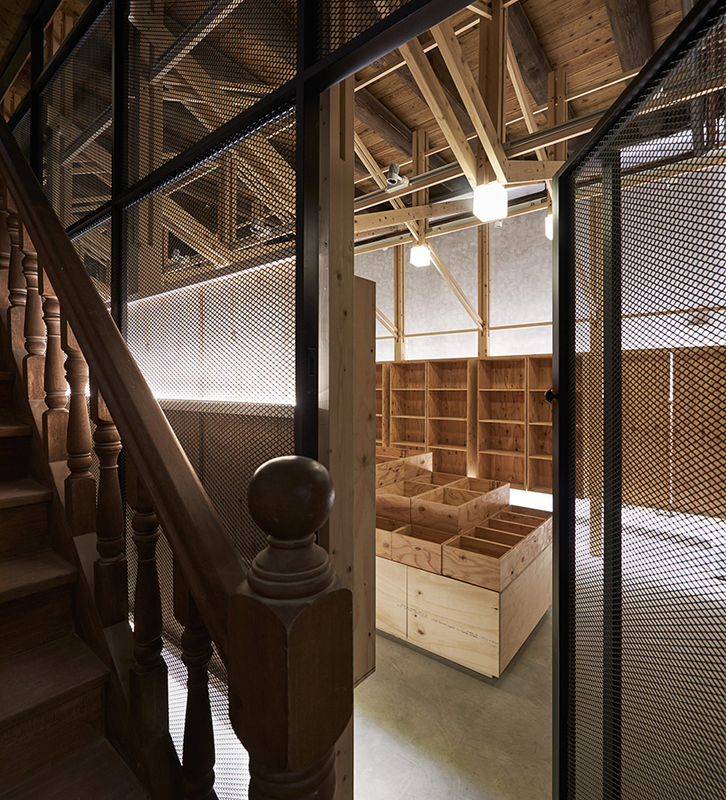 the scheme is inhabited by the yeh family on the top floor and their space is one of the many grain stores located on the street. 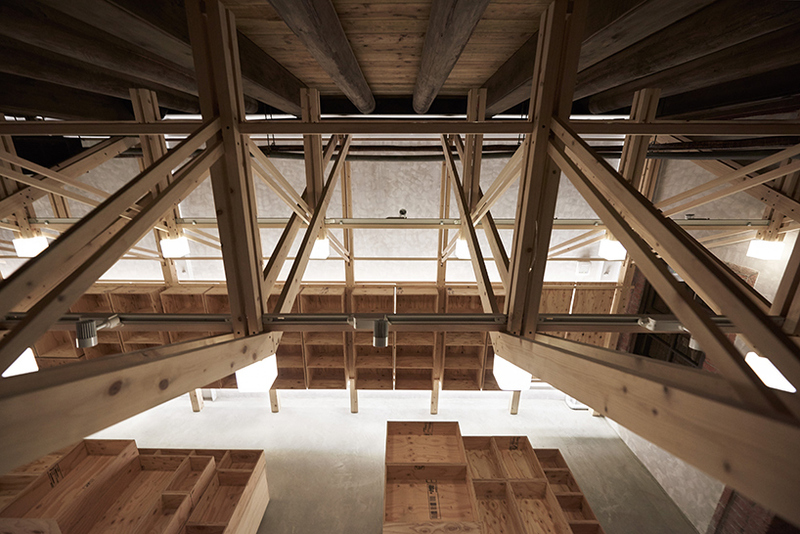 the existing furniture and grain equipment has been relocated to the back space to give focus to the historic context. 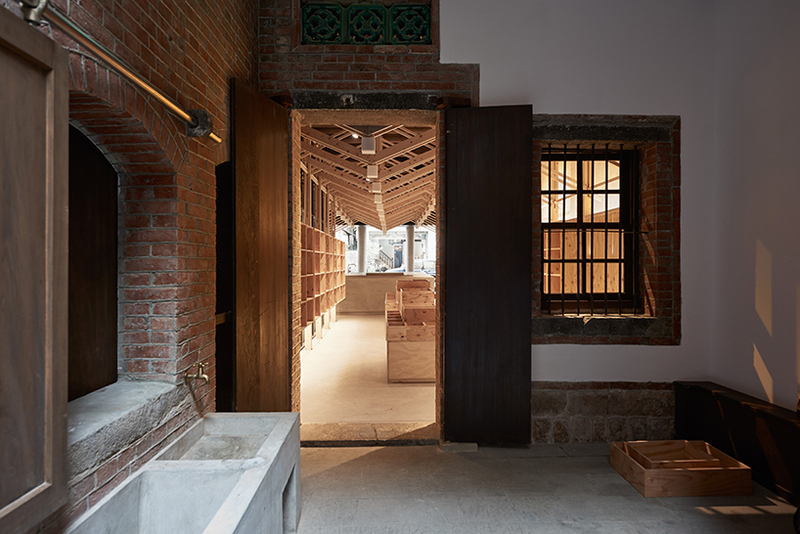 besides the gentle explicit response of the form, the connection of materials and textures is also our design thinking towards a historic building.